Bibbiena is an ancient town in the Casentino region to the east of Tuscany, situated on a hill overlooking the river Archiano which is a tributary of the Arno river. 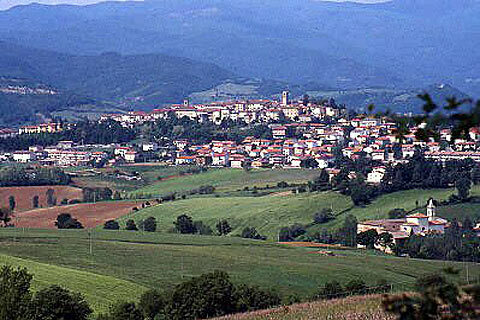 The town has very ancient roots in the etruscan period (pre Ancient Roman). 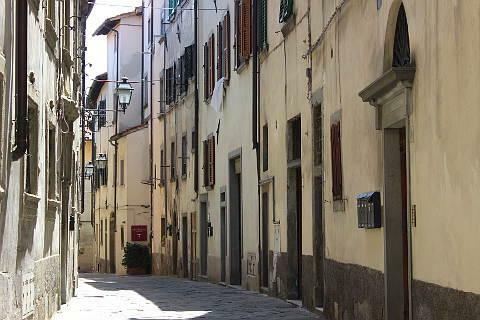 The ancient medieval town in the upper part of Bibbiena is well preserved, while the modern part of the town stretches along the slopes and below the old town, and has developed because of the town's expansion since the 19th century. 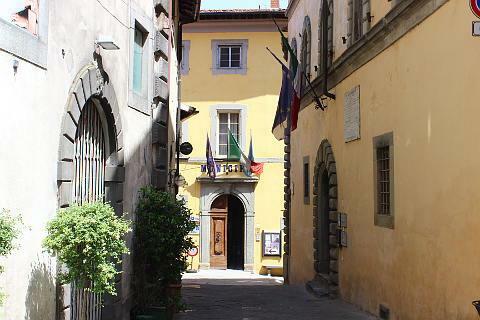 Bibbiena is not a tourist village but it has an old town center with several monuments of great artistic value. Among the notable buildings to enjoy there are several 'palaces' including the Palazzo Dovizi, the Palazzo Mazzoleni and the Palazzo Niccolino. The Church of San Lorenzo in Bibbiena was built around 1340 as a chapel dependent on the 'Minor Friars of the Monastery of La Verna' and was completed in 1474. 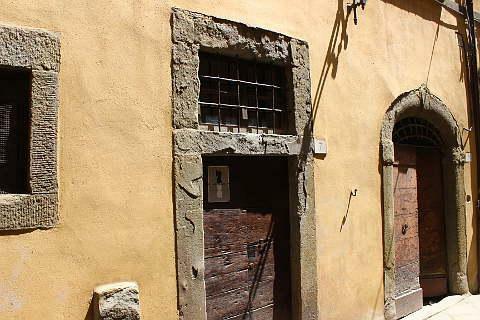 Renovated in 1917, it has three naves, a small cloister and a trussed roof. The original church included a hospice and at the same time was also a base for Franciscan preaching and confessions. "Two flying angels hold the crown above the head of the Madonna. In the lunette above is the Eternal Father with the great book of life, which, with the Alpha and the Omega, marks the beginning and the end of everything. On the right is "The Nativity" with the crib and choir of angels singing hosannas, a frame with heads of cherubs and a headband representing flowers and fruit, of great value and a very expressive work (See T. Bartolini, , “I Della Robbia in Casentino: itinerario robbiano”, 1984, p. 5). 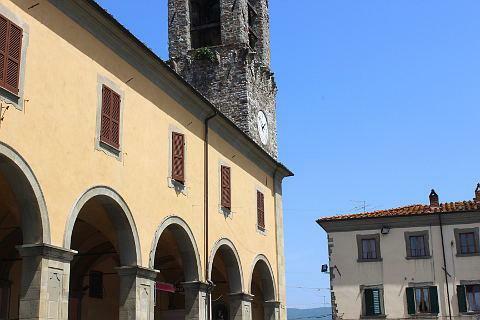 Also in Bibbiena you can visit the 12th century Church of the Saints Ippolito and Donato, called “Prepositura” and in the form of a Latin cross with a nave. This was once the chapel of the Tarlati castle. In the second altar on the left, at the Tabernacle, there is a painting of the "Madonna with Child and six Angels" by Arcangelo di Cola from Camerino. There are also works by Bicci di Lorenzo and Iacopo Ligozzi. An interesting place of pilgrimage near here is the Church of Santa Maria del Sasso, about a mile from Bibbiena and for which has existed since 1204 though the current church dates to the 15th century and was built largely due to the generosity of Lorenzo the Magnificent (1449-1492). The architecture of the church is simple and tasteful. Tradition has it that the Virgin Mary appeared several times here and the church was built on the spot where she appeared. Among the various works of art that deserve a mention in this church are paintings by Jacopo Ligozzi (Verona. 1547 - Florence 1626): 'The Nativity of the Virgin and SS. Sebastian and Raymond ' and the "Assumption", begun by Baccio della Porta called Fra Bartolommeo (1472-1517) and completed by Paolino da Pistoia (1490-1547). Last but not least you can see a glazed earthenware item depicting "Jesus and John the Baptist," by Santi Buglioni (1494-1576); also by Buglioni is the 'Ecce Agnus Dei'. The manor house at nearby Marena called the Fattoria di Marena is an attractive Italian style villa and gardens dating from the 17th century. No visit to Bibbena and the Casentino region would be complete without taking the time to enjoy the local landscapes and cuisine, which have both played a very important role in the local traditions and heritage. Bibbiena has a typical hilly landscape with beeches, larches and fir trees. As for food Bibbiena is famous for its pecorino cheese. Indeed this whole area is full of cheese shops selling pecorino cheese and few other varieties are available! There is also a traditional hot dish made with potatoes, sausage, boiled salted and cheese, all of which are local specialties. Note: Bibbiena was the birthplace of Cardinal Bernardo Dovizi (called Cardinal "Bibbiena" (1470-1520) and secretary to Pope Leo X), Raphael's (1483-1520) friend and the author of " La Calandra," one of the most famous comedies of the 16th century. He built the Palazzo Dovizi. Nearby Poppi is a charming village and has an impressive castle that you can visit. Raggilolo has a pretty medieval centre and nearby are some ancient watermills. 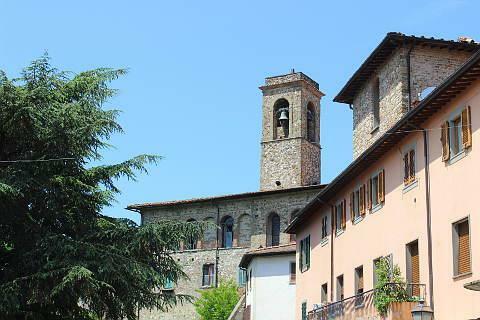 You can find more local travel ideas in the Casentino guide and the Tuscany guide.